Romulus Thompson was hired as the first Bandmaster of Leon High School and, with significant help from local merchants and residents, was able to order new instruments and uniforms. Thompson chose to duplicate the style of the West Point cadets’ uniform, substituting a rich red for the drab gray coat of the cadets. An order was placed with the Fitchheimer Company, the same company that made the West Point Uniforms, and so began the tradition of the Redcoat Band. During these early years, the Leon Band frequently received high marks and rave reviews at band festivals and concerts. As an example of the effect the band had on judges, Glenn Bainum of Northwestern University–who served as a judge at the Northwest Florida Music Festival in Tallahassee in the mid-1940s–said of the Marching Redcoats: “I have never seen a more ingeniously planned performance on the field. This performance would be a sensation at any contest in the United States.” The tradition of superior ratings had begun. Oliver Hobbs was hired as the new Bandmaster, and during his seventeen-year tenure, the reputation for excellence reached a new plateau. The band achieved a superior rating in every festival it entered and qualified for the State Music Festival every year, where it earned a superior rating for a remarkable seventeen straight years. During this same time, band members also received an average of more than fifty individual medals per year. In 1959, the Marching Redcoats were invited to participate in the Cherry Blossom Festival in Washington, D.C., as the “official band of the State of Florida.” The following year, the band also performed in the Macy’s Thanksgiving Day Parade in New York City. In 1966, the Leon High School Band moved into its current home on the high school campus. Hobbs had planned for several years for an adequate music facility in which to house the school’s band and choral groups, and during the final year of his tenure, his dreams became a reality. 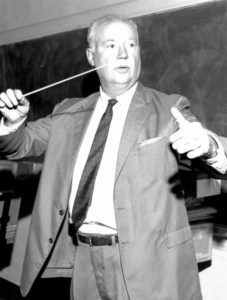 The year 1966 also brought the arrival of F. Lewis Jones as Assistant Bandmaster. Jones continued the tradition of excellence that had made the Leon Band the most respected school band organization in Florida. During his tenure, the Redcoats continued the tradition of superior ratings. In addition, they were also chosen to play in the 1974 Festival of Bands in Mexico City, Mexico and in the 1977 Seefield International Music Festival in Seefield, Austria. When Jones retired from his teaching in 1978, the band had an enviable record of twenty-eight consecutive years with straight superior ratings. In 1978, Mr. Ben Godfrey became the band director, after serving as assistant director for a couple years with Mr. Jones. Godfrey only held the position for one year, but it was a very successful year with many fine concerts and superior ratings at all district and state festival performances. Bobby Adams joined the faculty of Leon High School as Band Director in 1979. Under his leadership, the tradition of excellence continued with the Symphonic Band as well as on the marching field. The band participated in the State Band Festival every year that Adams was at Leon and received a superior rating each year. The record of unbroken superior ratings grew to thirty-six consecutive years. The Symphonic Band also gave performances at the 1981 Southeastern United States Honor Band and Clinic at Troy State University in Troy, Alabama; the 1982 Mid-East Instrumental Conference in Pittsburgh, Pennsylvania and the 1982 Tri-State Band Festival at Florida State University; the 1983 New York State Band Directors Association Annual Symposium in Albany, New York; and the 1984 Florida Music Educators Association Annual Convention. At the end of the 1986-87 academic year, Bobby Adams accepted the position as Director of Bands at Stetson University, and Chris Ball became Bandmaster at Leon High School. The marching and Symphonic Bands continued the history of excellence in performance, with superior ratings in all festivals entered, and Ball rejuvenated the Jazz Band, which has received State Festival superior ratings since 1988. The Leon High School Symphonic Band also performed in the 1990 Festival of Winds, which was held on the campus of the University of South Florida in Tampa. In 1994, Timothy A. Paul became only the sixth Band Director at Leon High School in the prestigious fifty-seven year history of the program. The tradition of excellence continues with superior ratings for the Marching Band, State Band Festival superior ratings for both the Symphonic Band and the Jazz Band, and State Band Festival excellent ratings for the Concert Band, which appeared at that festival for the first time ever in 1995. Individually, students consistently represent Leon High School in numerous honor bands, including All-State Bands, All-District Bands, Tri-State Bands at Florida State University, and Festival of the Winds Bands at the University of South Florida. Additionally, one hundred percent of band students participate in the Florida Bandmasters Solo and Ensemble Festival and returned from the latest festival with an unprecedented one hundred ninety-six superior medals. Paul has further enhanced the tradition of excellence by instituting a private lesson program on campus. The Leon High School Band Program utilizes fifteen private teachers, with one hundred percent of band students receiving both individual and ensemble instruction during and after the school day each week. Special performances for 1997 year included appearances at the prestigious All-South Music Institute, which is held annually on the campus of the University of Southern Mississippi, and at the Second Atlanta International Band and Orchestra Conference. In the fall of 1997 the band earned the prestigious honor of be asked to play at the Midwest International Band and Orchestra Conference. In 1998 the band became the first band to ever to play at the conference two years in a row. In the year 2000 the band was the recipient of the 2000 Sudler Flag of Honor. 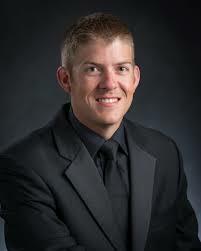 In the summer of 2002 the band, parents and boosters welcomed Josh Bula as its new Director. Mr. Bula worked as the percussion instructor at Leon from 1994-1996 while working on his Bachelor of Music Education at FSU. After teaching several years in Alachua and Brevard counties, and receiving a Masters in Music from USF, he came to Leon High School. Under his direction, the Leon High School Band has continued to earn nothing but Superior Ratings.The record of continuous superiors for the Marching Redcoats continues to grow, and as of the 2006 festival it was up to 57 years. In the Spring of 2004, the Leon Symphonic Band was invited to perform at the National Band and Orchestra Festival in Carnegie Hall. In the spring of 2006, the symphonic band was invited to perform for the Southern Division Conference of the College Band Directors National Association & National Band Association in Nashville, as well as the Bands of America National Concert Band Festival, in Indianapolis. David Thornton is a native of Springfield Virginia. He graduated from Florida State University with a Bachelor of Music Education and a Bachelor of Music in Clarinet Performance. While at FSU, Mr. Thornton was Head Drum Major for the World-renowned Marching Chiefs in addition to participating in FSU’s Symphonic Band, Wind Orchestra and Philharmonia. 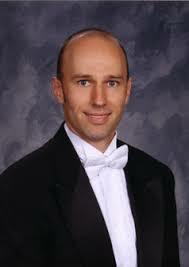 Prior to his appointment at Leon High School, he was the Assistant Band Director at Eau Gallie High School. He holds active memberships in the Music Educators National Conference, the Florida Music Educators Association, and the Florida Bandmasters Association. Mr. Thornton is also a member of Phi Mu Alpha Sinfonia Fraternity of America Inc.
Brett Pikuritz was born and raised in Port Charlotte, Florida. He attended Charlotte High School in Punta Gorda, FL where he was the drum major of the Silver King Marching Band. 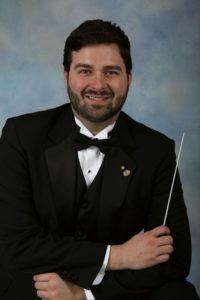 Upon graduating high school, Mr. Pikuritz attended The Florida State University, where he graduated with a Bachelors of Music, studying both saxophone and bassoon. 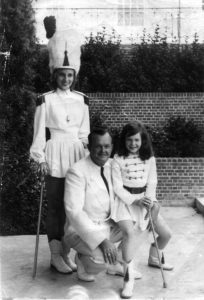 While at FSU, he was a proud member of The Marching Chiefs; serving as a Staff member and Saxophone Section leader. He also performed in FSU’s Wind Orchestra and Symphonic Band. currently instructs Symphonic, Concert, Jazz and the Marching Redcoats. Bands under Mr. Commander’s direction have continuously received outstanding ratings throughout district and state assessments including the prestigious Otto Kraushaar Award. Prior to earning his B.M.E from The Florida State University Mr. Commander was highly involved with the College of Music where he worked on the Board of Advisors for the College of Music, Marching Coordinator and later Staff Manager for the illustrious Marching Chiefs. He was awarded the Manley Whitcomb Scholarship in 2010 for his continued support and effort to music education and a Medal of Honor from The Marching Chiefs. Mr. Commander is highly active in Tau Beta Sigma as a Southeast District Counselor where he works with collegiate students to develop leadership and post collegiate skills. As the newest Director of the Leon Band, he has added the Instrumental Lesson’s Academy where students can receive one-on-one instruction from music professionals in the area. He was granted honorary membership in this organization in spring of 2013. 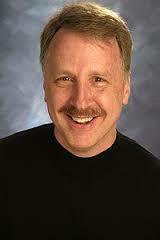 His other professional affiliations are Tau Beta Sigma, Kappa Kappa Psi, NAfME, FMEA, and FBA. Mr. Commander holds memberships in NAfME, FMEA and FBA. He also hold honorary memberships in Tau Beta Sigma, and Kappa Kappa Psi.